Black Friday Sale starts tomorrow, 7pm for wt+ and Amex cardmembers. 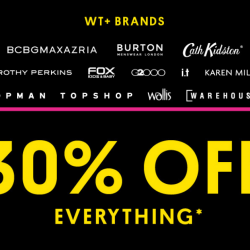 Get 30% off everything at all wt+ brands including Topshop, Topman, Dorothy Perkins, Fox Kids & Baby, G2000, Cath Kidston, i.t, Warehouse and more! 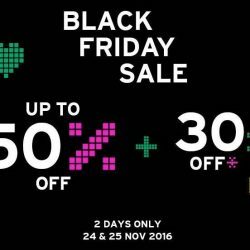 Public enjoy 30% off with purchase of 3 pcs and more from 22 to 25 November 2018. Get your '2nd PIECE AT 60% OFF' and 'BUY 3 + 2 FREE' for wt+ members only! If you're not a member, no worries! Join now and enjoy the deal on your second purchase. Deal ends 16 April. Celebrate National Day in style with Wing Tai Retail! From now till 9 Aug, enjoy 20% off regular-priced items (min. 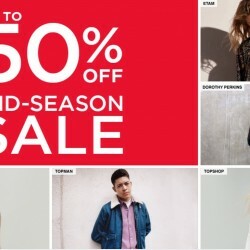 $100 spend) at DOROTHY PERKINS, TOPMAN and TOPSHOP! 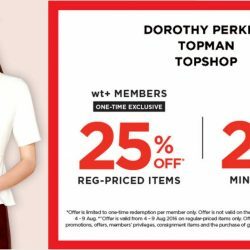 Exclusively for wt+ members, don't miss the chance to enjoy your one-time exclusive deal of 25% off regular-priced items! Valid till 9 Aug. T&Cs apply. Check in-store for more details. 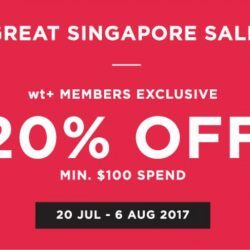 It's the Great Singapore Sale at G2000! Spruce up your wardrobe with contemporary classics and workwear essentials at up to 50% off! Exclusive for wt+ and UOB members, enjoy an additional 15% off your final bill (min. 3 pcs)! 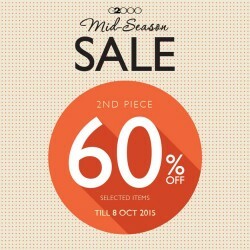 Till 8 Oct 2015 G2000 Mid-Season Sale: 60% Off 2nd Piece! Update your wardrobe now with G2000 Mid-Season sale! Enjoy 60% off second piece on selected styles, and other great deals in stores! From now till 8 October 2015. Time to get those Fall pieces! 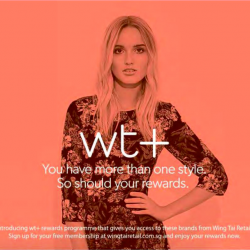 Exclusively for UnionPay cardholders and wt+ members, enjoy 15% off total bill from all the labels under Wing Tai Retail with a minimum purchase of 2 pieces! 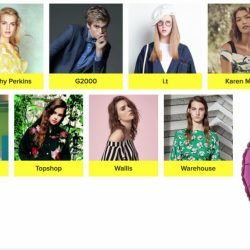 Labels include Dorothy Perkins, Topshop, Warehouse, G2000 and more! Promotion is on from now till 11 October 2015. Go indulge in some shopping today! 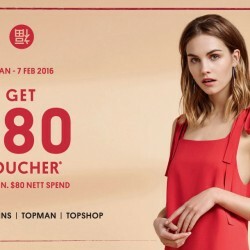 Till 30 Sep 2015 G2000: Receive a $50 voucher with every $50 or $80 nett spend! Time to update your wardrobe with G2000 Fall Collection! More reasons to fall in love with Fall - Exclusive for wt+ members, receive $50 voucher with every $50 nett spend! For members of public, receive a $50 voucher with every $80nett spend. T&Cs apply. S$15 voucher for POSB/DBS card members @ wt+. 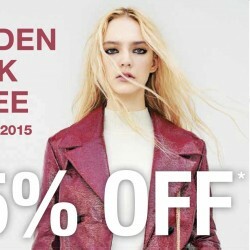 Valid until 13 May 2015.